If I'm honest, colour challenges are not usually my thing. I much prefer a sketch or a theme. But this month's Make The Day Special blog challenge has some really fab colour options, and actually it was a great excuse to have a dig through my paper scraps bag! 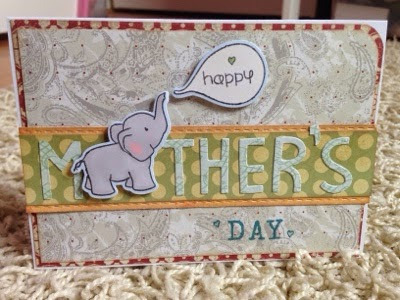 I used the darker colour scheme of the three, and my lovely Wplus9 bubble talk elephant stamps and dies, and my always-favourite Lawn Fawn Finlay's ABCs. He's coloured with Promarkers, but I was at the Hobbycrafts show at the NEC on Friday and picked up loads of new distress inks for the next elephant! I was hoping to have a chance to try the other colour ways too before the challenge ended but time has run away with me. 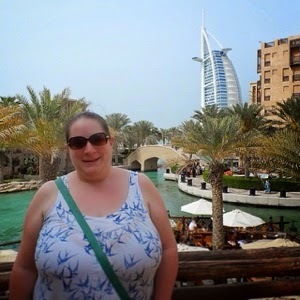 Mostly that I was in Dubai last weekend visiting my sister, can't really complain about that! Gorgeous card. Thank you for playing along with our challenge this month at Make the Day Special Stamp Store . Love how you mixed the elephant in with the letters - such fun! Thanks for joining us at make the day special stamp store.